Cincinnati is home to two major sports teams.The Cincinnati Reds, the oldest franchise in Major League Baseball, play at the Great American Ball Park. The Paul Brown Stadium is home to the NFL’s Cincinnati Bengals. The two relatively new stadiums are connected by a nice park/path along the waterfront, which makes for a nice ‘stadium loop’ with great river views. 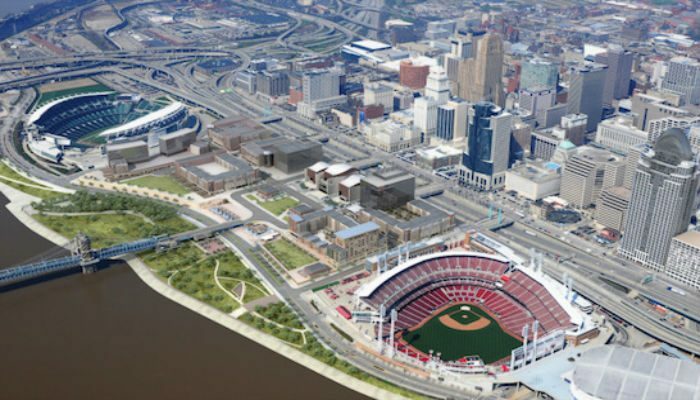 The route begins at the the Great American Ball Park located near the waterfront. 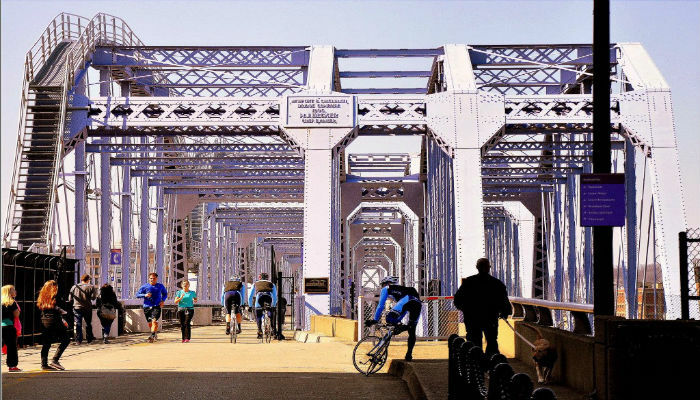 Continue your tour around the ball park to Smale Riverfront Park. Run along the water past the Paul Brown Stadium until you take a sharp right onto W. Pete Rose Way. This road takes you back toward the Bengals Stadium which you can wind around back to the starting point.